See NuVet's Ingredient List for the full combination of all natural vitamins, minerals, herbs, antioxidants, bioflavonoids, fatty acids, & amino acids. by clicking on the green logo below. 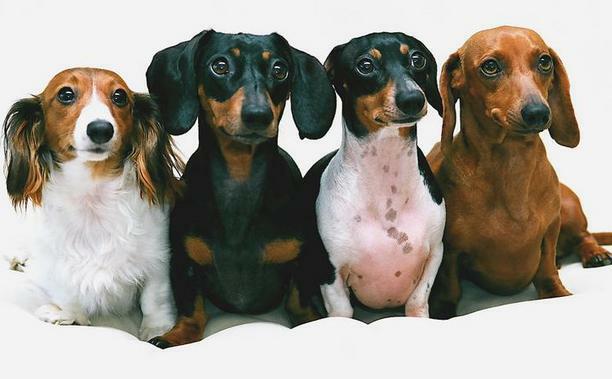 These are Genete's Dachshund girls below pictured left to right...Liesel, Gretta, Chloe, & Penny. They have been on NuVet Plus for years. Don't they look grand?! go to www.netvet.com/79400, or click on the green NuVet logo.